Since it was scrapped from the list for the brevet and it looked like an easy climb, the Col de Larche was used as a recovery ride. Officially, cyclists are not allowed between La Condamine and Meyronnes, but – as confirmed by the tourist office – this ban is basically neglected by everyone. While the length of 23 kilometers from Jausiers may look impressive, the first 6 kilometers are near flat, up to the split with the Vars. An excellent recovery ride, although the road was quite a bit busier with traffic than I would have liked and I arrived at the summit well within the hour. 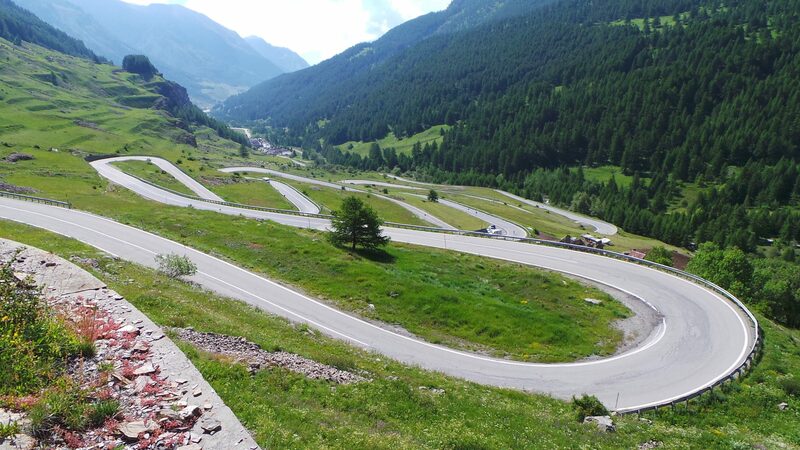 But, I had seen both sides of this col when transferring back and forth to the Fauniera and I wanted to cycle the Italian section with the hairpins too. So, I descended the 6+ kilometers to Argentera from where I returned back to the summit, after which we had a coffee break at the ‘Ristorante del Lago’. Paula then bought some cheese and other stuff from a local farmer holding shop at the summit and after a fast descend to Jausiers, my Tour de France 2014 was officially over. Trip: 62.8 kilometers / 1,072 meters elevation gain (Garmin).